It wouldn’t be Christmas for us without a cheeseboard. We lay out lots of cheeses, and get a selection of crackers and seasonal pickle and tuck in. It makes an easy but tasty lunch or something to snack on while watching Christmas telly. 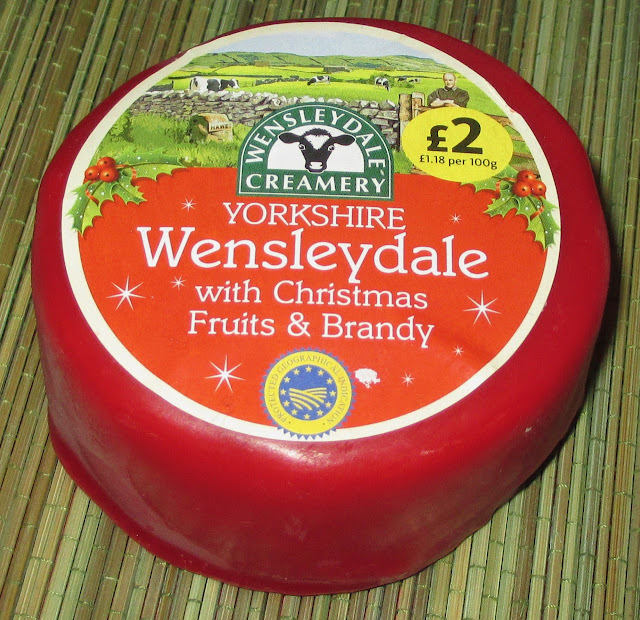 |n amongst the staple cheeses, ie the vintage Cheddar and the Red Leicester, we always buy some special ones, and this Wensleydale is our Christmas special for this year. 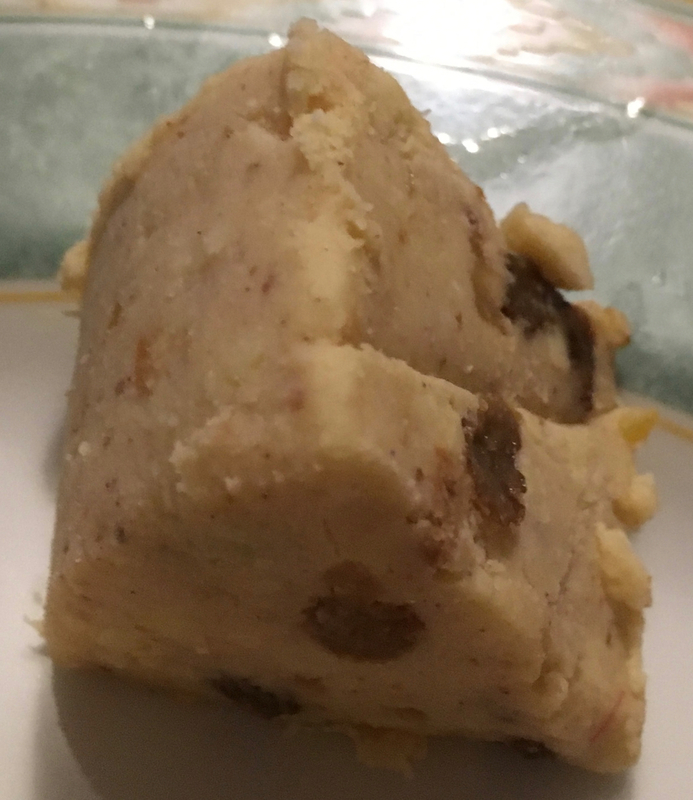 It is a Yorkshire Wensleydale with Christmas Fruits and Brandy, from the Wensleydale Creamery. It is sealed in red wax, which you simply cut in half and peel off. You could see from the cheese that it had a good content of fruits and we chopped it into chunks to share it on the crackers. The flavour was impressive, there is lots of fruit, and a hint of nice spice too. The warmth from the Brandy made this the perfect winter cheese. The base cheese was very creamy and the fruit and brandy added a lovely contrast and worked well with the flavour. Each piece of fruity was a lovely thing to stumble across, juicy and sweet making this a very enjoyable cheese. I realise that this cheese will disappear in the next week or so, so I might stock up on one for the fridge. Fingers crossed it come out next year too.